One road can have many faces – from friendly to downright hostile. When you make a living on the road, you want to be prepared for anything it can throw at you. 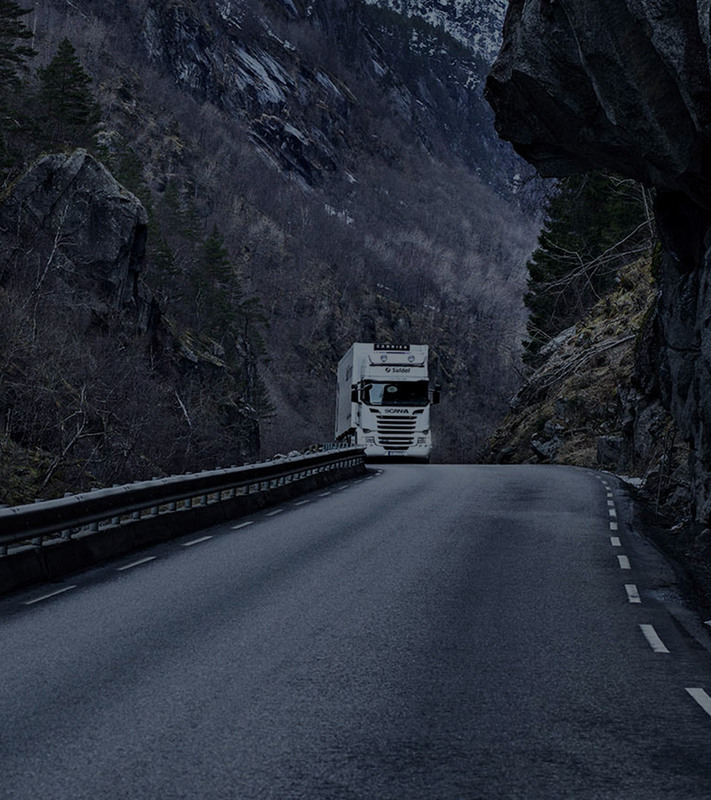 At Nokian Tyres, it’s our job to make yours safer. Our new reference-class steer axle tyre for winter use, Nokian Hakkapeliitta Truck F2, has loads of new and refined features – all designed for a reason: to make working in the winter easy, safe and efficient. Logistics is all about operating against the clock – and hoping there will be no surprises along the way. We want to make sure that the tyres are the least of your worries. That’s why we listen to our users as well as the road, designing truck and bus tyres that answer to every challenge you may have. 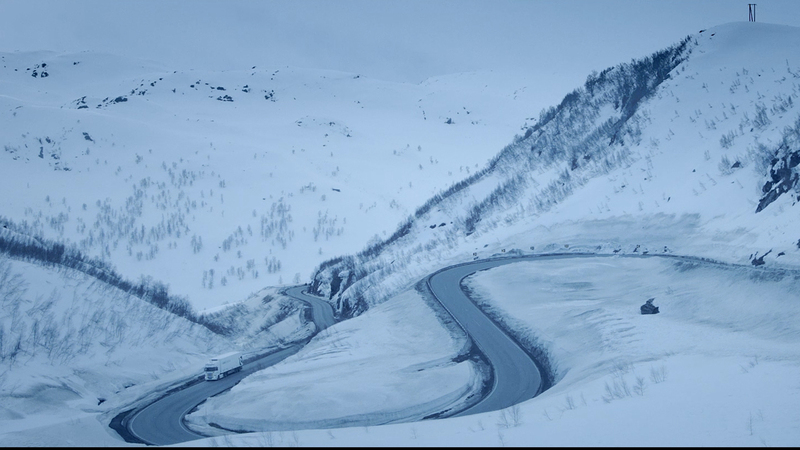 Wherever the road takes you, Nokian Tyres is there to help you get there on time. Odda, Norway. 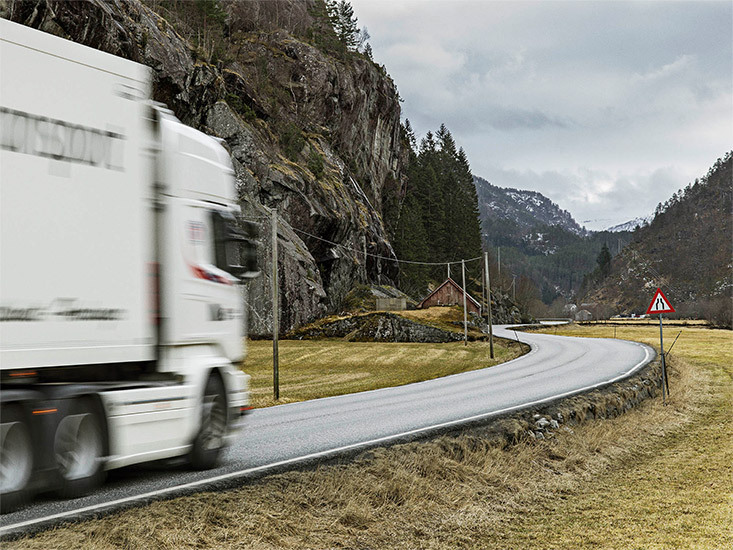 Svein Olav Landsverk drives his Scania R580 mainly on just one route from Odda to Oslo and back – about 350 kilometers one way. The route may remain the same, but the conditions change all the time. 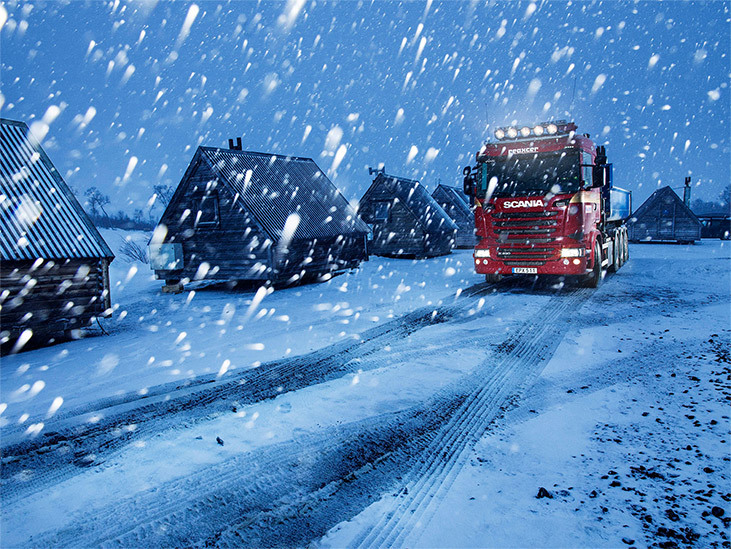 Nokian Hakkapeliitta Truck range of tyres has features that can save your winter. 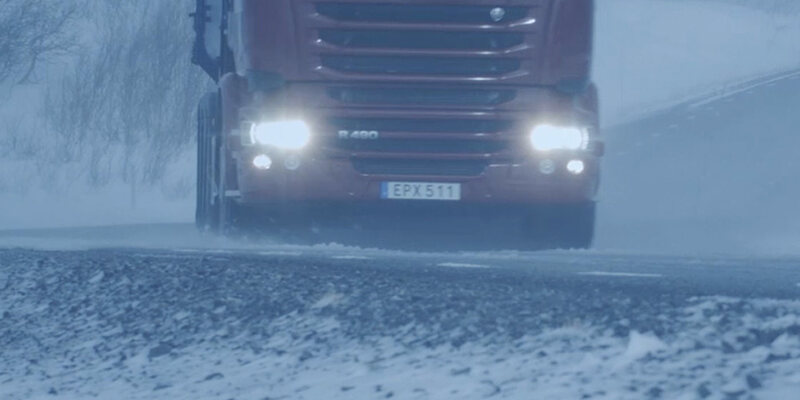 When packed snow and ice freeze the roads for months and conditions change from hour to hour, Nokian Hakkapeliitta Truck tyres offer superior grip, stability and predictable handling. And once the winter has passed, they continue with an excellent summer performance. Even though the winters in temperate climates are less severe than up north, they are a force to be reckoned with. Nokian Hakka Truck range of tyres is designed for reliable, economical and comfortable ride around the year. Their properties are fine-tuned for solid all-season performance – from hot summers to rain, slush and snow.